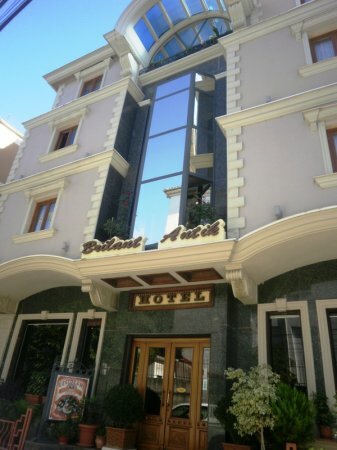 In the heart of the town, with a unique and amazing style, situated just steps away in front of the Albanian Parliament, Brilant Antik Hotel has gained in a short time the reputation of “home away from home” in Tirana. Situated at walking distance from the main governmental, business and shopping centers, as well as from entertaining areas, accommodation at the Brilant Antik Hotel is quite convenient and practical. Free wireless internet connection in all hotel areas, working desks in the rooms, secretarial services at the reception and other similar services, make this hotel suitable for business people and their need to work or meet.